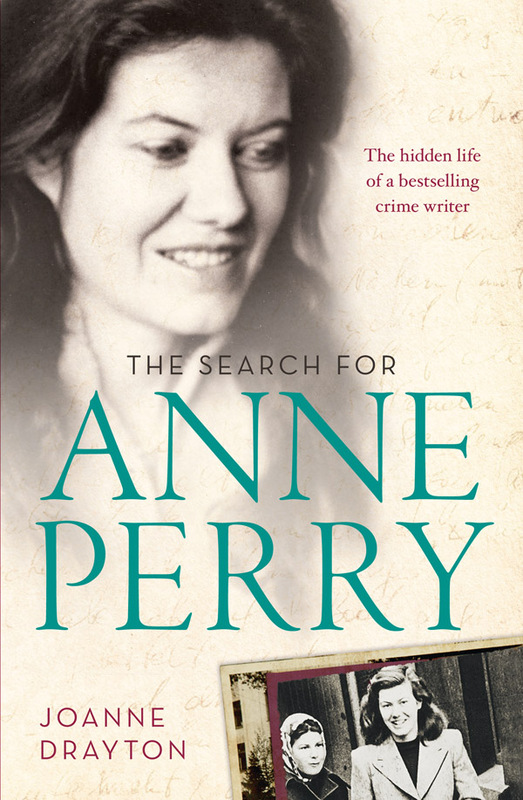 Tonight at the Downstage Theatre in Wellington, Jo Drayton talks about her new biography, THE SEARCH FOR ANNE PERRY, which has been generating plenty of interest here in New Zealand and overseas. Apparently working with Drayton on the biography is the first time Perry has publicly spoken at great length and depth to anyone about her life (although there has been the odd article or two in the past, which has dealt in brief detail with her past and personal life), so the biography should be interesting. On 22 June 1954, Juliet Hulme and her friend Pauline Parker murdered Pauline’s mother Honora in Christchurch. Both girls were subsequently charged with murder and tried in a court case that was widely covered by the press in New Zealand, and overseas. Having been found guilty Juliet spent five and a half years in prison and upon her release changed her name, left New Zealand and was never to be heard of again. However, the 1994 release of Peter Jackson’s Heavenly Creatures changed everything. With interest in the murder reignited, a journalist sought, and managed, to track down Juliet Hulme, who was now living under the name of Anne Perry. At the time of Heavenly Creatures’ release, Anne Perry was leading a successful life as a bestselling crime fiction writer at the peak of her profession (she’s gone on to sell more than 25 million copies of her book). While Anne’s identity has been revealed to the world for some years now, she has never spoken to a biographer about her life in-depth. However, in a ground-breaking move, the famously private Perry agreed to be comprehensively interviewed by acclaimed biographer Joanne Drayton, allowing her unparalleled access to her friends, relatives, colleagues and archives. This unique access has allowed Drayton to write the first comprehensive biography of Anne Perry, bringing together the two somewhat incompatible lives of Juliet Hulme the murderer, and Anne Perry the bestselling author in a literary biography with a twist. Acclaimed biographer Jo Drayton will be in conversation with Professor Harry Ricketts about her experiences in researching and writing this fascinating biography. Unfortunately, being in Auckland I am unable to attend what should be a fascinating evening. Hopefully I will get to catch up with Drayton and discuss her latest book with her at the upcoming Christchurch Writers Festival, where she will also be appearing. I like this way of writing approach.Its in the correct level of writing to understand content.